I've just installed the latest WineBottler v2.0 from https://winebottler.kronenberg.org/downloads. I clicked on the supplied Steam install button, and ended up with a new application in my application folder - I called it Steam-winebottler.app because I've already got the standard Mac Steam.app. 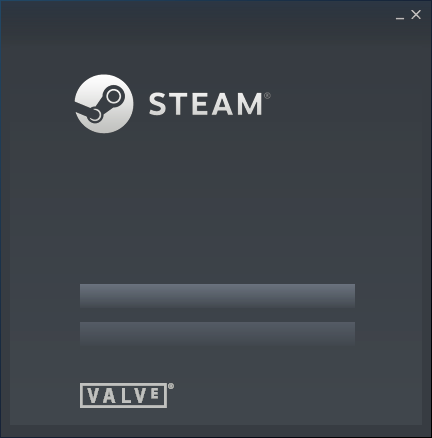 Steam-winebottler.app launched fine, did various updates, and eventually gave me what looks like a log-in window without any of the usual text. What I mean is I can see the Steam logo, the Valve logo, and what looks like boxes for password and username entry, but not text saying "Password" or "User name" or "Click to continue" or anything like that. mentions a problem: Steam client window(s) do(es)n't render any text. It looks like that's the problem I've got, but I can't see a way to apply the fix when using the WineBottler approach. This is a known issue with older versions of Wine + the Steam client; modern versions of Wine have this fixed and rarely, if ever, have this issue any more. The "-no-dwrite" launch argument can be used to help fix this as @Joachim said, or you can just disable dwrite.dll from within Wine's configuration. This issue was also from long before Steam broke on all older versions of Wine, so it's most likely not going to work at all even with this fix. It will try to connect to login but fail, and continue to do so because it's broken internally (the Steam client on older versions of Wine). WineBottler is very outdated, slow to update to new versions of Wine, and not friendly for even intermediate access to your Wine wrapper/prefix let alone advanced stuff. They try to stick to stable releases and test a bunch before updating, causing even more disparity with the more consistently updated Wine-based projects. PlayOnMac or Porting Kit should work far better for your needs. Personally I always used & loved Wineskin but that seems to have become inactive last I checked. Porting Kit (PK) does use it internally though, and AFAIK they were taking over development of Wineskin -- it was a close second choice for a Wine-based program after I finally tried it. PoM can use community-sourced scripts to install stuff, so be careful if you try that -- plenty easy to infect a Wine prefix. PK can also use scripts, but AFAIK they're only made by the devs. Both have manual options and because of Wineskin PK can also build custom engines, though it's not simple no matter how nerdy you are; IDK if PoM can do that, but it may. Not the answer you're looking for? Browse other questions tagged steam macos wine or ask your own question. Windows Steam games on a Mac with WINE? Why am I getting a CAPTCHA message without a CAPTCHA when I attempt to login to Steam? Stuck on Cutscene in Dishonored - What Can I Do? What sort of performance penalty does WINE cause? Why is Call Of Duty Modern Warfare 2 failing to install? Why is my Steam Client acting so slow? What is Steam's “download now” icon? What's this red bubble on my Steam client? Is there anything about the macOS 64-bit Steam Client installed on Mojave macOS that would interfere with playing 32-bit games?